ISIS has claimed responsibility for an attack which killed four Christians in Pakistan's Balochistan province on Easter Monday. An Islamic State press statement released on Tuesday said that a "covert unit" of ISIS militants "managed to target a number of the combatant Christians." 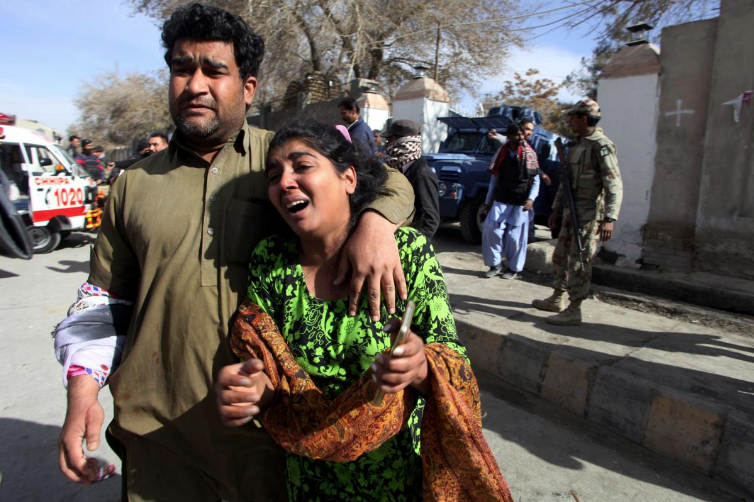 According to the statement the attackers "shot them with a pistol, which resulted in the killing of four of them, and all praise is due to Allah" This occurred in the western city of Quetta. Armed men opened fire at a rickshaw carrying the family of three who were returning home from a bazaar at around 6:45 p.m. local time. All the victims were part of the local Christian community. A Pakistani security personnel stood guard during a Easter mass outside a Church in Quetta on April 1, 2018. Christians are a minority in Pakistan and have often suffered attacks. Please Pray for Christians in Pakistan.